Keep your loved one’s memory alive by caring for the generation that cared for us. Your memorial donation pays tribute to your loved one and makes a big difference for seniors. Yahrzeit contributions of $18 or more will be recognized in The Pittsburgh Jewish Chronicle. A notice mailed annually to remind you and your family of the upcoming yahrzeit. 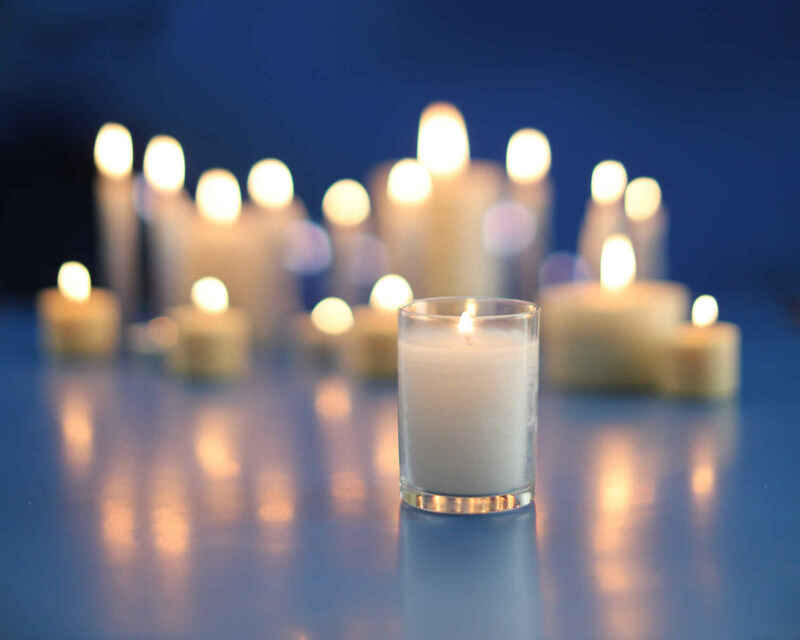 Kaddish prayers said for your loved one during the first year after the burial and on the Shabbat closest to the yahrzeit date each year thereafter. Publication of your loved one's name in The Pittsburgh Jewish Chronicle during the week of his/her yahrzeit. Recognition in The Pittsburgh Jewish Chronicle of any annual donations of $18 or more made by you or your family members. A card sent to whomever you choose, recognizing this gift made in memory of your loved one. A contribution of $1,000 or more will establish a Yahrzeit Legacy Endowment in memory of your loved one. Each year, a yahrzeit donation from this endowment fund will be made automatically to the Jewish Association on Aging, improving the lives of older adults today and in future generations. Our sages teach us that performing this mitzvah enables an elevation of your loved one's soul, pays tribute to his/her life, and follows the customs of our heritage. Ensures your loved one's yahrzeit will be remembered every year with a meaningful donation, both during and beyond your own lifetime. Acknowledges this annual donation in The Pittsburgh Jewish Chronicle during the week of your loved one's yahrzeit. Includes membership in the JAA Legacy Society. Honors your loved one's life and legacy with recognition in the JAA's annual report and other publications. You may create this endowment with a donation today, or through your will, trust, retirement account, or life insurance policy. For more information contact Beverly Brinn at 412-521-1975 or bbrinn@jaapgh.org. In memory of our dear friend Sue Hoechstetter's Mom, Marian Hoechstetter.